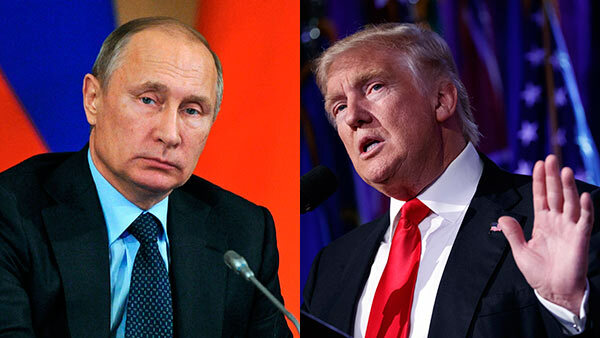 WASHINGTON -- Russia President Vladimir Putin offered Wednesday to turn over to Congress records of President Donald Trump's discussions with Russian diplomats in which Trump is said to have disclosed classified information. His offer added a bizarre twist to the furor over Trump's intelligence disclosures. Putin's remarks come as Washington was reeling over revelations late Tuesday that Trump personally appealed to FBI Director James Comey to abandon the bureau's investigation into National Security Adviser Michael Flynn. The White House issued a furious denial after reports that Comey kept notes detailing Trump's request. The White House has played down the importance and secrecy of the information Trump gave to the Russians, which had been supplied by Israel under an intelligence-sharing agreement. Trump himself said he had "an absolute right" as president to share "facts pertaining to terrorism" and airline safety with Russia. Yet U.S. allies and some members of Congress expressed concern bordering on alarm. Putin told a news conference that he would be willing to turn over notes of Trump's meeting with the Russian diplomats if the White House agreed. He dismissed outrage over Trump's disclosures as U.S. politicians whipping up "anti-Russian sentiment." Asked what he thinks of Trump presidency, Putin said it's up to the American people to judge but his performance can only be rated "only when he's allowed to work at full capacity," implying that someone is hampering Trump's efforts. Mark Warner of Virginia, top Democrat on the Senate intelligence committee, said he would ask Comey for additional material as part of that panel's investigation. "Memos, transcripts, tapes - the list keeps getting longer," he said.